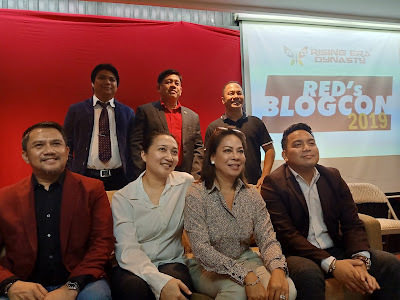 Last April 6, 2019, Rising Era Dynasty (RED), held its first blog conference at their Ortigas office. Founded in 2012, the company was relaunched in October 2018 after re-branding as a multi-level marketing company. Rising Era Dynasty is renowned for its natural and organic high-quality nutritional products. They promote a holistic approach to health and wellness starting from the soil, to animals, and then to people. From Rising Era Dynasty comes top selling wellness products that include GoEssentials. 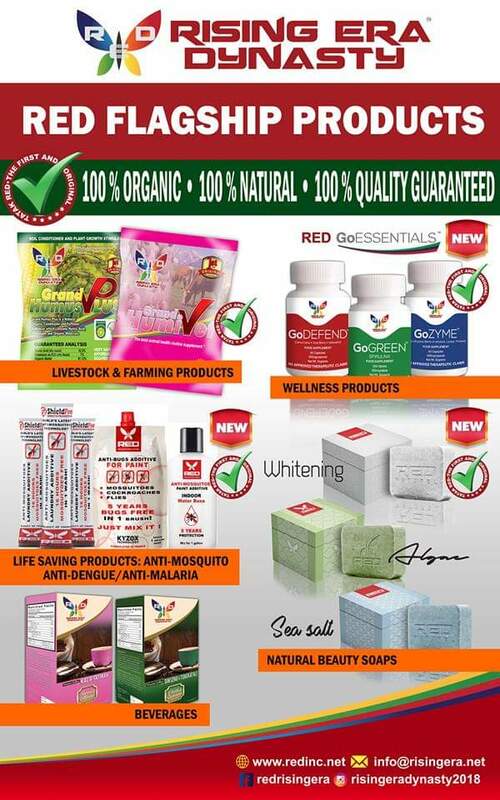 These Science-based products---- RED GoGreen, RED GoZyme, and RED GoDefend----are manufactured by Nanusci (Natural Nutrition Science), whose expertise in producing and manufacturing natural and well-researched products cater to current demands and market needs. It also has beauty products in form of natural organic soap bars: RED Natural Organic Whitening Soap, RED Organic Sea Salt Soap, and RED Organic Algae Soap. Made from all-natural ingredients, these organic soaps have healing properties that can treat eczema skin conditions. Aside from antifungal and antibacterial properties that make them good body cleansers, organic soap organic soaps help in maintaining healthy, beautiful skin. RED’s newest product is a breakthrough anti-mosquito lotion that promises to eradicate fatal mosquito borne diseases such as Dengue, Zika Virus, Malaria and Chikungunya. It effectively ontrols mosquito larvae by disrupting their breeding environment. 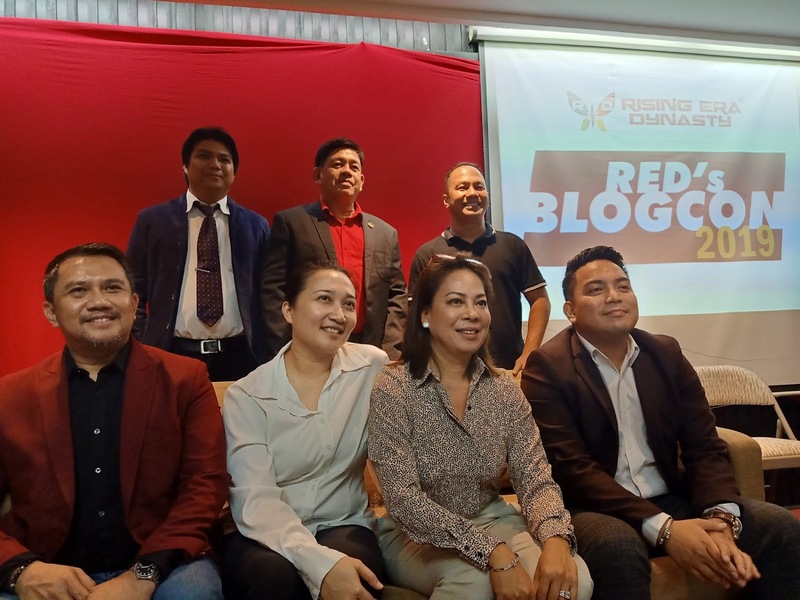 RED is a trailblazer in supporting today’s growing need of a nutritional revolution, as well as in enabling this need to pave the way to Restore, Enhance and Defend a person’s desire to Abundance and Prosperity. By creating a business platform with a campaign for well-being, every person has the opportunity to attain Financial Independence and Time Freedom. 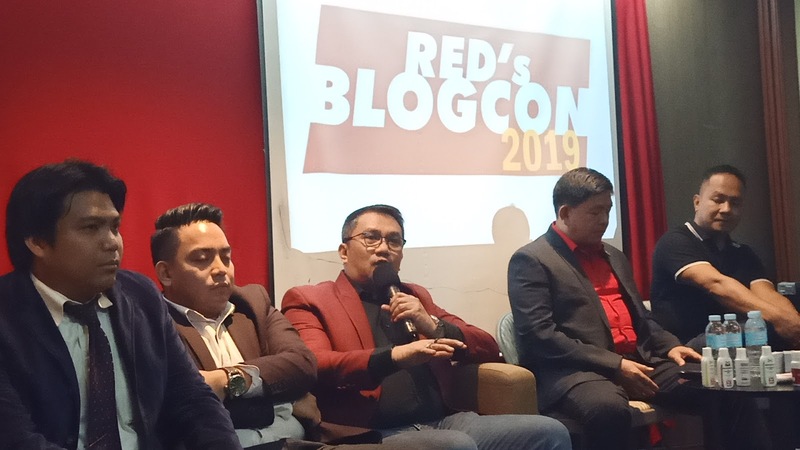 NaNuSci, Inc. is the manufacturing company of RED and has its roots in the pioneer producer of highest quality Spirulina in the Philippines. The corporation is a result of the collaborative competencies of its pioneer team, composed of members with diverse skills. They specialize in the research, development, production, and marketing of Natural-Nutrition-Science-based food and food supplement products. French-owned Kyzox Corporation grows its own trees to extract the mosquitocidal compound called Rotundial-a new natural mosquito repellent from the leaves of Vitex Rotundifolia. 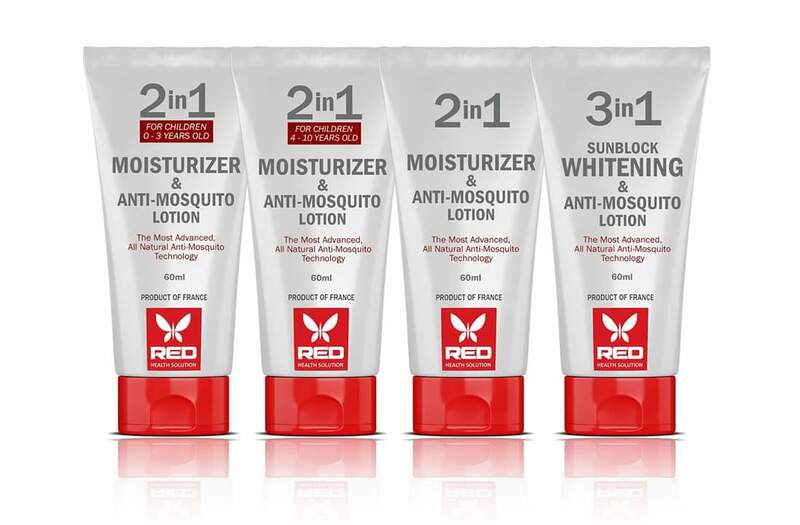 They are responsible for the technology behind the anti-mosquito lotion, one of the best-seller at RED. From Mosquitoes to Cockroaches Kyzox offers a solution to 15 bugs, in single, 3-in-1, 6-in-1 and 9-in-1 formulas. RED provides solutions through science-based proprietary products, utilizing state-of-the-art technological advancements in ensuring these products are of the highest quality and optimum potency. They are innovators of well-being, addressing every phase of the cycle, from Soil to Plants, from Plants to Animals, from Plants and Animals to People, by getting to the heart of today’s crisis in human’s health: offering Organic Agricultural products as the essential first step. 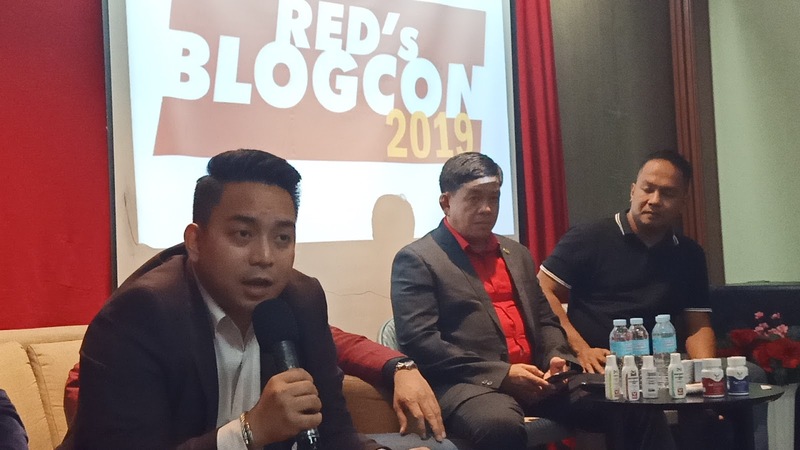 Today, RED has already established in key areas in the Philippines and abroad. 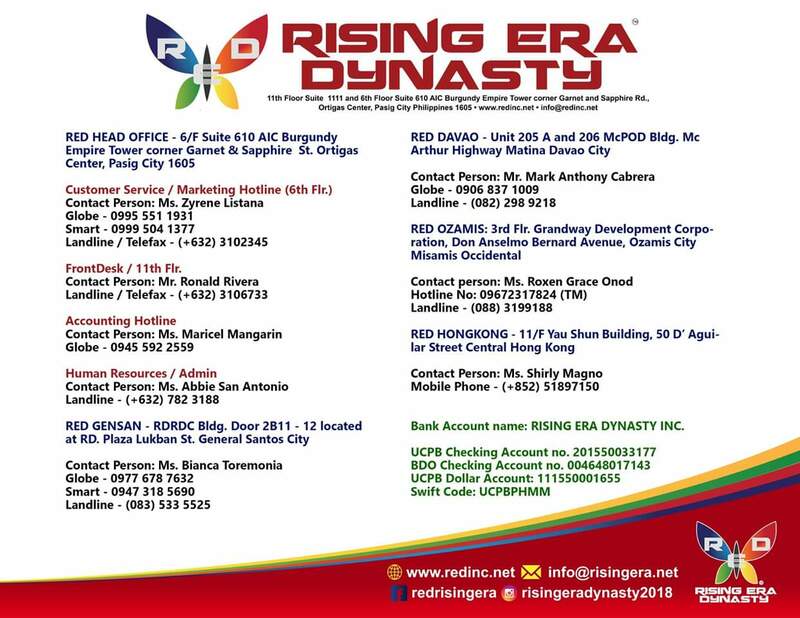 They now have branches in Hong Kong, Ortigas, General Santos, Davao City and Ozamis.